We’d love your help. 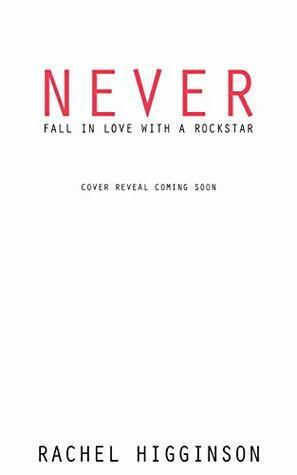 Let us know what’s wrong with this preview of Never Fall in Love with a Rockstar by Rachel Higginson. Over the past five years, I’ve settled into my second life. My “normal l My name is Clover Calloway and I’ve lived two separate lives. To ask other readers questions about Never Fall in Love with a Rockstar, please sign up. Great. Sounds like this will hurt. She was born and raised in Nebraska, and spent her college years traveling the world. She fell in love with Eastern Europe, Paris, Indian Food and the beautiful beaches of Sri Lanka, but came back home to marry her high school sweetheart. Now she spends her d Rachel Higginson is the best-selling author of The Five Stages of Falling in Love, Every Wrong Reason, Bet on Us and The Star-Crossed Series.